Cantonese opera is also known as “Guangdong Drama” since it is the dominant form of opera found in Guangdong region. The origin of Cantonese opera can be dated back to the reign of Emperor Jiajing (1522-1566) of the Ming Dynasty. It is in fact a blend of different operatic styles, such as the Yiyang and Kun tunes of the Ming Dynasty, the Xiqin and Han Opera of the early Qing Dynasty, the regional operas from the provinces of Jiangsu, Henan, Anhui, Hunan, Hebei and Guangxi as well as the local Guangdong music and its tradition of telling stories through song. 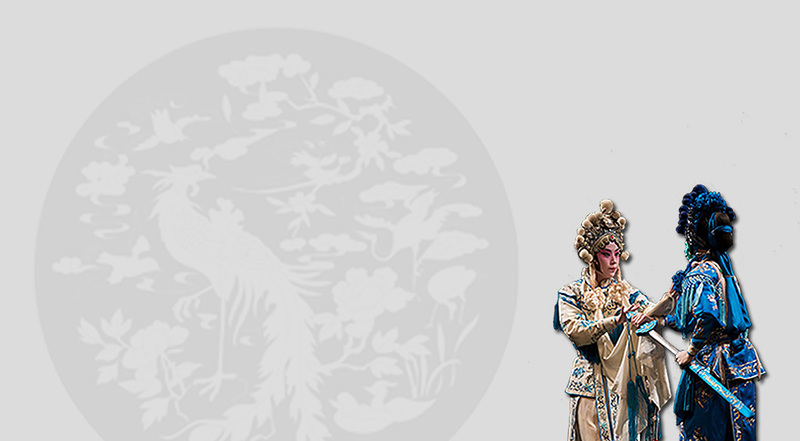 During the reign of Emperor Qianlong (1736-1795), Foshan has already been the home for most of the Cantonese opera troupes and they have set up an association called “ Qionghua Guild”. Near Qionghua Guild, there was a water area reserved for the anchorage of “red boats”. “Red boats” were some wooden yachts mainly painted in red. Its major function was to transport the staff and the chests for the troupe, including the costumes and ornaments for the stage performances. Since most of the Cantonese operas during late Qing were performed in the delta region of the Pearl River, boat was the main mode of transportation and the troupes also lived on the Red Boats too. Life on a Red Boat was very stringent, with rigid rules for allocation of beds in the cabin and division of labor among the artists themselves. Nevertheless, the rules on Red Boats had in fact laid a solid foundation for the organization of Cantonese opera troupe in the future. By the 1930s, since the major performing venues for Cantonese opera had moved to big cities and more convenient forms of transportation became available, the Red Boats began to disappear gradually. During the reign of Emperor Xianfeng (1851-1861), Artist Li Man-mao launched a “righteous revolt” against the Qing government, which resulted in a ban against Cantonese opera and the burn down of the Qionghua Guild. Cantonese opera made not much advancement during that time. Many troupes were forced to stage their performances under the cover of Beijing Opera troupes. Under the reign of Emperor Tongzhi (1862-1874), the ban was lifted and Cantonese opera had experienced a significant renewal. Many important troupes moved from Foshan to Guangzhou. In 1889, under the reign of Emperor Guangxu (1875-1908), Pat Wo Association was established in Huangsha, Guangzhou, to promote and foster the development of Cantonese opera in both Guangdong and Guangxi. In the early 20th Century, the singing language of Cantonese opera had gradually shifted from Guilin Mandarin to Cantonese.